The Chinese chemical regulatory framework has become increasingly influenced by international chemical regulations, in particular, the European and US framework. The previous legislation of management of new chemical substances in China was amended on October 15th, 2010, through the enactment of the ‘Measures for the environmental management of new chemical substances’ by China’s Ministry of Environmental Protection (MEP). This regulation is similar to EU REACH and adopts several principles and concepts of the European regulation, and thus has been called ‘China REACH’. However, China REACH is a general term for legislation covering hazardous, toxic and new chemical substances while the Measures specifically regulate new chemical substances. Horizon Risk Consultancy Ltd provide you with cost-effective chemical compliance and registration services through our partner CIRS, a leading regulatory compliance consultancy headquartered in Hangzhou, China. No single Chinese regulatory authority is responsible for with chemicals registration. 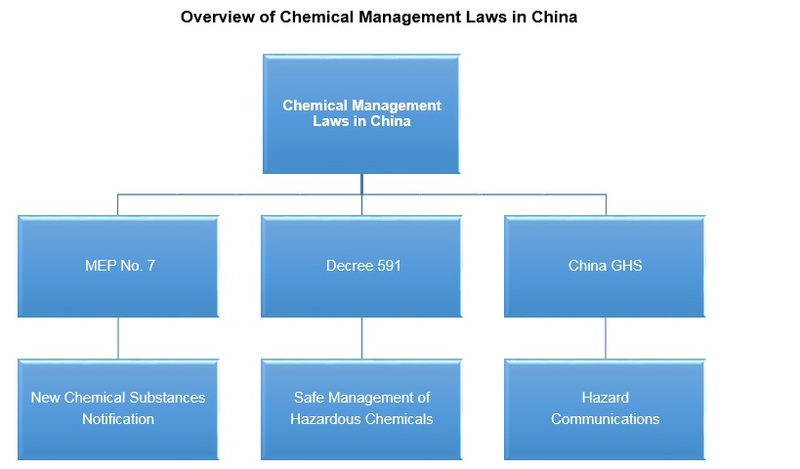 A number of government authorities deal with chemical management in China. This means a simple chemical product can fall in the jurisdiction of several authorities. EU exporters cannot submit new chemicals applications directly to China authority, you must proceed via a registered regulatory representative established in China.